Just wanted to briefly reflect on the current state of some superstars and explain why a little change of scenery would benefit them. Finn Balor was drafted to RAW in 2016 during the WWE draft, thus moving up to the main roster. Upon his initial run, he was seemingly treated as a cornerstone of WWE’s flagship show. On his first night he was apart of a Fatal-4-Way match to determine who would go on to face the winner of an additional Fatal-4-Way match later in the night, in a #1 contender’s match, with the winner of that match ultimately going on to SummerSlam to battle Seth Rollins for the Universal Championship. Finn Balor defeated Rusev, Cesaro and Kevin Owens, while Roman Reigns defeated his opponents. Later that night, Finn Balor and Roman Reigns battled it out to see who would move onto the main event of SummerSlam. In unexpected fashion, Balor was successful in defeating Roman Reigns. He was introduced to the main roster, won a Fatal-4-Way match and defeated one of the biggest stars in WWE to ensure a Championship match at one of the biggest WWE events, all in one night. At the time, you could assume Balor was destined for greatness on the main roster, but sadly that assumption would come to an abrupt end. During his match with Seth Rollins to determine the inaugural Universal Champion, he suffered a shoulder injury that would ultimately keep him on the shelf for a significant amount of time. However, he still won the match, thus becoming the first ever Universal Champion. The following night on RAW, he had to relinquish the title. This was a bummer, because as soon as this happened I knew things wouldn’t be the same when he returned. The night after WrestleMania, he returned as Seth Rollins’ tag team partner in a match against Samoa Joe and Kevin Owens. Since his Universal Championship match, he hasn’t been involved in anything important. I feel like all he has done since was face Baron Corbin in a singles match…like…I don’t know…52 times. It’s unfortunate, being a fan of his, I really wanted to see him succeed like he did in NXT and New Japan. This is where a change of scenery could help him. I can’t say he’s “done it all” on RAW, as he’s really done nothing. Aside from the Universal Title, he hasn’t done anything worthwhile. However, he has faced just about everyone on the RAW roster in some capacity. Because of that, it’s time to move him to SmackDown. He’s become stale on RAW. Moving Balor to SmackDown allows him to face the likes of Daniel Bryan, AJ Styles, Samoa Joe and Rey Mysterio. Reading that sentence just sounds refreshing. He may never be a World Champion in WWE again, who really knows, but a move to the blue brand would freshen him up nonetheless. Opens up opportunities for new storylines, new opponents, a number of things. He’s definitely at the top of my list regarding this topic. Seth Rollins is evidently higher than Finn Balor on the totem pole. He has bigger things coming his way. As soon as that Universal Championship comes out of hiding, he’s at the beginning of the line for a shot, undoubtedly. 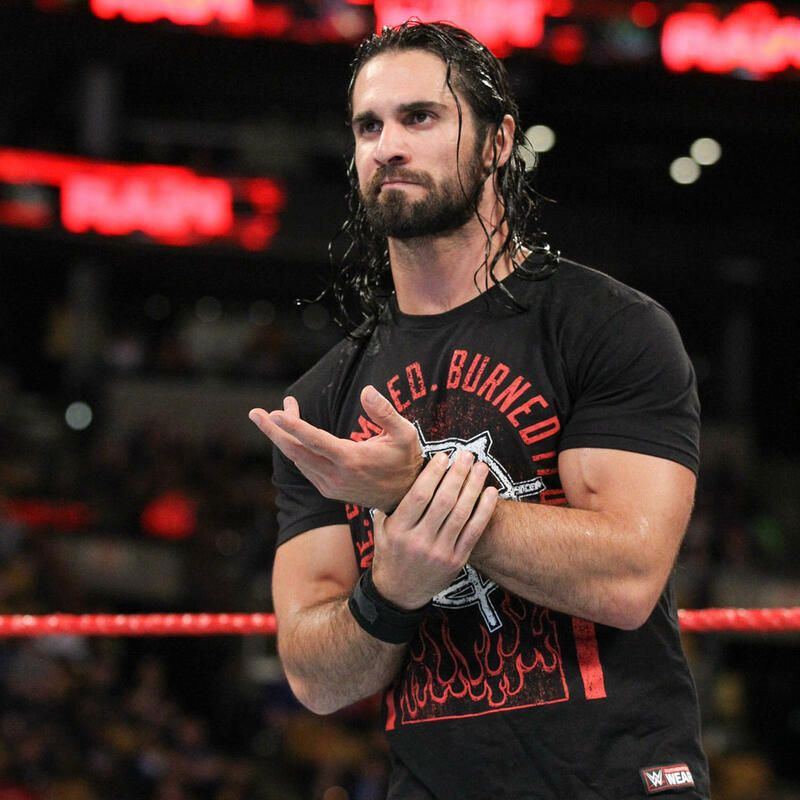 He is, however, in the same boat as Finn Balor when it comes to SmackDown – fresh opponents, new rivals, drama, storylines, you get the picture. I wouldn’t say he needs to as much as Finn Balor, but a jump to SmackDown would do no harm. Everyone, as far as I know, wants to see AJ Styles vs. Seth Rollins, and on SmackDown that can obviously happen. Hell, Seth Rollins vs. Daniel Bryan, Seth Rollins vs. Jeff Hardy, Seth Rollins vs. Rey Mysterio, Seth Rollins vs. Andrade Cien Almas, etc. After his current feud with Dean Ambrose, what’s there to do if he doesn’t get a Universal Championship match? Nothing comes to mind. Send him to SmackDown. Randy Orton has honestly done it all: a multiple-time world champion, 2-time Royal Rumble winner, Mr. Money in the Bank, top heel at one point, top babyface at one point, apart of various factions, the whole nine yards. The thing is, he’s always felt like a RAW guy to me as much as he’s been on SmackDown. I will say though, there are multiple superstars on the blue brand that he is yet to get his hands on – Samoa Joe comes to mind, babyface Daniel Bryan, and we never received that AJ Styles/Randy Orton feud folks were clamoring for. So, when it comes to Orton on SmackDown, I guess there are technically a few things to still – not necessarily accomplish – but rather to invest in. I’d rather he go to RAW, though. I just feel like he’d fit there better. And he’s a big star to compensate for the loss of Balor and Rollins on RAW. Okay, this one bothers the hell out of me. The Revival, a dominant unit on NXT, a team you took serious every week, an old school tag team…they have now essentially turned into jobbers. They have been used to get legends over, stupid comedy acts like B-Team, and more recently have been used as a joke to get this moronic “Lucha House Rules” gimmick over. It’s incredibly ridiculous. 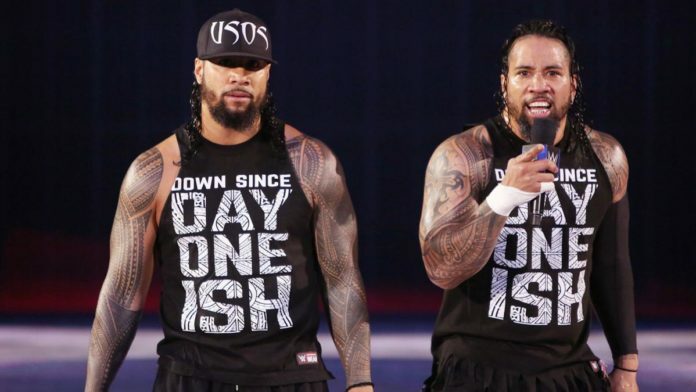 They should’ve at the very least been tag team champions by now. They just resemble rough and tough, mean dudes, but in reality, they’re perhaps the biggest joke in the company. It’s sad, really. I feel as though the writers on SmackDown would have something of substance for The Revival. Look at Zack Ryder, when he was on SmackDown, he was almost on the show on a weekly basis, had a storyline with Mojo Rawley that led to the team breaking up – granted it wasn’t that exciting of a story, but it led somewhere. Whereas Dash and Dawson show up to work to simply lose every week to a bunch of goons. What’s the point? You don’t use your best tag team on your roster as utter jokes. Come on now. Move them SmackDown, I see nothing but bigger and better things. Becky Lynch is losing the SmackDown Women’s Title at TLC. I’ll come out and say that right off the bat. If not at TLC, some time before the Rumble, rather it be the night of or weeks prior to it. Why before the Royal Rumble? Simple – champions can’t enter the Royal Rumble Match and she’s my pick to win it this year. She’s going to win the Royal Rumble and choose to face Ronda Rousey at WrestleMania for the RAW Women’s title, ergo becoming apart of the RAW roster and simultaneously giving us the match we thought we were getting at the Survivor Series, but this time on the bigger stage. She’s defeated Charlotte Flair, the top of the food chain, no one else on SmackDown is believable enough to defeat her one-on-one aside from Asuka at this point. She’s already beaten the best, what makes you think someone like Mandy Rose or Lana could do it? Wouldn’t make the least bit of sense. On RAW, she has former foe Alexa Bliss (if she’s ever cleared), Bayley, Ember Moon, Mickie James, and of course she could get revenge on Nia Jax. Pack her bags, and send her to RAW.